Braulio L. Baez is the executive director of the Florida Public Service Commission (PSC), serving in his role since 2011. He oversees his staff as they execute the policy decisions of the Commission in regulating the operations and activities of Florida’s investor-owned electric, gas, and water/wastewater utilities. Director Baez’s tenure with the PSC stretches back to 1994 serving as a Commissioner’s aide, then as a Commissioner. 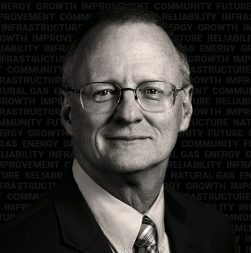 When not with the Commission he practiced law in the private sector advising clients on strategic business, legislative, and regulatory policy risks involving local and state government, with a focus on the transportation, energy/electric, telecommunications, and water and wastewater industries. The PSC exercises regulatory authority over Florida’s investor-owned utility services and facilitates safe, reliable service for consumers at a fair price. Following Florida’s intense 2004–2005 hurricane seasons, the PSC developed ‘storm hardening’ initiatives to improve the utility sector’s ability to respond to storm events and rapidly restore services. Flagger Force: What is the PSC’s role in storm response? Braulio L. Baez: We’re just one small part of the larger emergency response effort for the state. Our engineers have oversight of Emergency Support Function 12, to maintain continuous and reliable energy, and the group is populated by representatives from the various utilities. The PSC’s main function is to coordinate the information flow on outage restoration efforts to help the Governor’s office make decisions, all to support quick and efficient restoration. The staff piece together the information provided by the utilities—providing and sharing outage reports 4 to 6 times per day. This is one way we measure progress to restoration. Flagger Force: What was challenging about Florida’s 2004-2005 storm seasons? Braulio L. Baez: Eight severe hurricanes struck Florida from 2004 to 2005. These were watershed moments for storm recovery issues and preparation. This unprecedented series of storm impacts prompted the PSC in 2006 to order electric utilities to put programs in place aimed at improving system resilience. The Commission put forth general principles and measures and sent the companies off to try and achieve improvements along those lines. Investments were made on things like storm hardening and greater efforts in outreach to put the public on notice that they too have responsibility in preparation. Flagger Force: What outcomes emerged from the storm hardening? Braulio L. Baez: Fast forward 12 years later with Matthew in 2016, and then Irma in 2017, the PSC was presented with the test of the Commission’s directives after the 04/05 seasons. It’s hard to measure because every storm is different. Restoration time during the 16/17 storm season was approximately two days—a remarkable improvement from the 04/05 season. Even more so since usually the first two days post storm are essentially dedicated to assessment. So, the utilities cut into their own assessment time, which to me, is impressive. We published the full report in July of 2018: “Review of Florida’s Electric Utility Hurricane Preparedness and Restoration Actions.” Our key findings showed that overall, our utilities’ programs are working. Flagger Force: Does the PSC benefit from mutual assistance, the restoration support agreements set in place for the electric power industry? Braulio L. Baez: Yes. Mutual aid is in place ahead of time, so that utilities in different locations, possibly even from out of the state, have reciprocal agreements and processes to help one another in times of restoration response. Utility managers are identified in these agreements and tasked to decide, under those circumstances, how much mutual aid is mobilized and when. So, the specific amount of mutual aid becomes a function of the utilities’ allocation of the resources they need to drive restoration. But the Commission itself doesn’t have a hand in it, neither the decisions, the amounts, nor the agreements. Instead, these relationships are administered and executed through industry groups. Flagger Force: How do the players mobilize pre-storm? Braulio L. Baez: Hurricane season is June 1 to Nov. 30. In early May the state runs a table top exercise at the State Emergency Operations Center on hurricane preparations. That’s one opportunity for the players to connect. In terms of the Commission, we have an annual round table in late spring. The utilities attend and walk through their storm response plans and share any changes or improvements. All of that serves to emphasize that storm season is upon us. Storm preparedness is a constant year-round effort, but the table top reinforces the emphasis on preparedness leading up to the official start of the season—I call them taps on the shoulder, meaning we’re getting ready and this is how we do it. Stakeholders from every point in our utility space have a vested interest in these processes and their effectiveness. Our own dedicated staff’s response is second to none, and that comes with knowledge and preparation. Flagger Force: How does the PSC communicate with and educate consumers? Braulio L. Baez: We rely on social media, our website, and our media relationships to communicate the actions of the Commission. Our prime communication function is through the Consumer Assistance Office. On top of that, we also have a press function. To create awareness, our outreach group tries to bring maximum attention to the public. We have folks who dedicate themselves year-round, touring the state and staging different interactions directly with the public to inform them of available services that they’re not taking advantage of and other programs, such as Lifeline, a telecommunications discount for low-income folks to access. Regulation can be a complex function to grasp at times and we seek to boil all that down into more practical terms of impact to the customer, so they can feel involved in the process. We try to mold all of those functions together with a view of educating the public—making the experience a rich one for them and for our team. It’s an uphill battle. The communication team deals with a difficult subject, and the public’s responses are often based on their unique perspectives. Flagger Force: What do you want people to know about the PSC? Braulio L. Baez: I really want everyone to know how hard our professionals work at getting it right, and at trying to strike that proper balance between the utilities need to function effectively, and what customers expect in fairness. We recognize that consumers expect utilities to be 99.9 percent reliable, even during a storm. Essential services impact our everyday existence and when those are missing, especially after a storm, our perceived needs are heightened. We recognize that our obligations are to a process that creates certainty and reliability, not just for the industry, but also for its consumers, in addition to a fair rate balance. If I had my Christmas wish, I wish everybody understood what goes into storm preparations and response and were able to see all the diligent planning that goes into it, instead of simply looking at it from the point of view of “I’m sitting in the dark and the food in my ice box is spoiling.” These are all fair and valid perspectives, but understanding of those on the front line of storm restoration is also important. 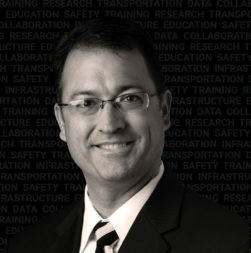 Braulio L. Baez is the executive director of the Florida Public Service Commission (PSC), serving in his role since 2011. He oversees his staff as they execute the policy decisions of the Commission in regulating the operations and activities of Florida’s investor-owned electric, gas, and water/wastewater utilities. 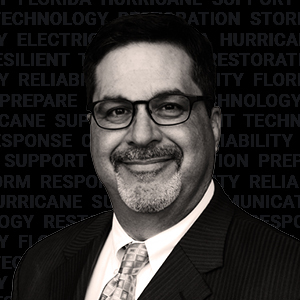 Read his full interview to learn more about his tenure with the PSC and how Flordia tackles emergency response and prepares for hurricane season.